I just got back from seanwes conference 2016, which was an amazing 3 day conference in Austin, Texas. I knew I wanted to record some audio interviews, so in this episode, I share how I planned for the conference, what gear I deciding to bring along, and some general tips and thoughts about attending a conference as a podcaster. Plan the purpose of your episode in advance. 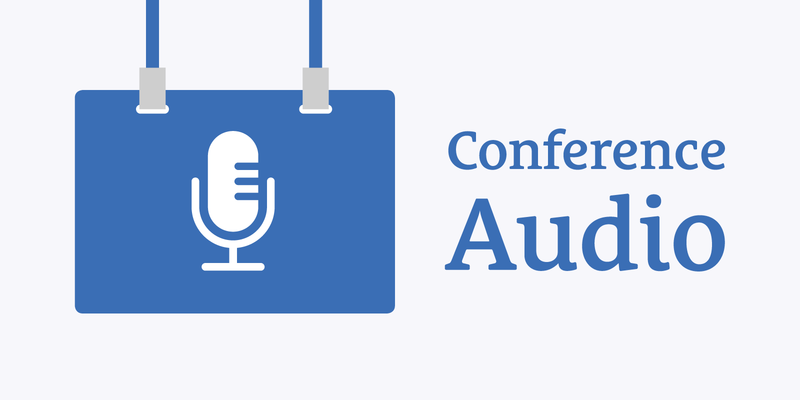 Don’t wait to get to the conference before you start recording. You can always delete a bad take, but you can’t use audio you didn’t capture. If you feel weird holding a microphone up to people, practice until you feel comfortable. If you use a mic that plugs into your phone, put your phone on airplane mode while you record. Give yourself a week or two after recording at a conference to edit the recordings—you’ll need some recoup time. When you get into the mindset of storing topic ideas when they come to you, you’ll find ideas everywhere. Record often and capture as much as you can, but stay present in the moment and engage with people. 00:54 I just got back from seanwes conference 2016 in Austin, Texas. I arrived on Wednesday, but the conference was Thursday, Friday, and Saturday. It was an amazing time. Lots of great speakers (including Nathan Barry, Sean Blanc, and Charli Prangley) and lots of our Community members attended. 01:23 We hung out, listened to people give great talks, got coffee and food, and it was an incredible experience. I knew in advance that I wanted to record some interviews, so I want to share my process for doing that—preparing, planning, recording, and a little bit of the post production stuff. 03:41 A lot of the information that I share in this episode is from a great training article from NPR about recording audio in the field. The first thing to think about when you’re going to record some audio at a conference is what’s your story? 04:02 You need to plan in advance what the point of your episode is going to be, how you’re going to use the audio you record. Think about what your audience will be interested in. Think about what kind of episode you want to have, what story you want to tell. Think about who’s going to the conference and what they can share that would be valuable to your audience. 04:27 Don’t wait for people to come to you; go to them. Be outgoing. Reach out to these people at the conference or even in advance—send them an email or a tweet. Say, “Hey, I know we’re both going to be at this conference. I’d love to talk to you about how you started your show or what’s going on in your business lately.” You don’t have to wait to get to the conference before you start recording. Lean towards recording more than you need rather than less. 05:50 Plan out what recording setup you want to use in advance, and make a checklist. I made a list in Omnifocus, then I checked and double checked the list before I left. I put a few microphones in a bag, some cables, and my Zoom H4N. I was planning on bringing two Shure SM58s, my Zoom H4N, and a couple of $15 boom arms, and I was going to set them up at a table at an Airbnb or the conference and let people record some podcast audio files. 06:22 I brought that stuff down there, and I didn’t end up using it. Instead, I decided to use my Shure MV88. The Shure MV88 is a mic that plugs into the lightening port on my iPhone. It’s so portable that I can keep it in my pocket all the time, so I knew I could record pretty good audio any time, anywhere—just pull it out, open up the MOTIV app, and start recording. 06:54 I just decided to use it exclusively for both video and audio. The downside was that audio wasn’t quite as good as if I was using an expensive shotgun microphone, but I decided that having a simple, portable option was better. If you’re going to be shooting interviews from far away or you want to have great audio quality, then bring something like a shotgun microphone. 07:18 I like the simplicity of the MV88 in my iPhone. I can hold it in my hand, so it’s not this big microphone waving in people’s faces. 07:42 If you feel awkward about holding a microphone in front of someone, if you feel weird about it, other people are going to pick up on that. If you’re the kind of person who feels weird holding a microphone up to people, practice that until you feel comfortable. If you’re uncomfortable, then the person you’re talking to will feel uncomfortable as well. If you’re cool and you say, “This is just a thing we’re doing. We’re having a good time,” they’re going to pick up on that and you’ll get a better recording. 08:13 I ended up using the Shure MV88 the whole time, which was great. Something I learned, though, as I was reviewing the audio recordings today and yesterday was that with the MV88 or any other microphone that you plug into a phone, you have to put the phone on airplane mode. I lost a couple of sections of interviews because there was weird phone static in the recording. There was even one time when someone called me and it stopped the recording, because that’s just how iPhones work. 08:45 If you’re going to use a phone with a microphone plugged into it, make sure you set it to airplane mode before you start recording. Are There Rules for Podcasting? 08:58 Aaron: One of the members at the conference asked me, “Are there any rules for podcasting in this situation, for recording a conference?” There are no rules. I used to really harp on high quality stuff: “You have to buy an expensive microphone and make great quality stuff.” I think it’s important to have a great home setup, but in a conference situation, it’s not always practical to bring a complicated setup. A lot of times, it’s easier just to have your phone or a little field recorder. 09:36 It’s more about the content. Try to do a good job with the audio, but capture something. It doesn’t have to be perfect to be good. Garrett in the chat says, “The only rule is that there are no rules,” and I agree. When it comes to podcasting, there are no rules. There are good practices, but there are no rules. Do what you want. 10:06 I failed at this. I didn’t give myself enough time. I got home late Saturday night and only had a day to review the audio. I was exhausted after the conference, so I didn’t get to it. 10:30 The day after a conference is not a good time to be trying to do meaningful work, where you have to think, have a clear head, and focus. I wanted to have some of the interviews and content ready to put in and play in this show, but I didn’t get to it. I could have done a better episode if I had given myself a week or two after recording to work on this episode. 10:59 But I didn’t. That’s something I’m going to work on next time. If I’m going to do a podcast episode about the conference, I’m going to give myself a week or so to listen to and edit my recordings. 11:33 I had a lot of great conversations about podcasting at this conference that happened so organically that I didn’t have time to pull out my phone and record, and that’s ok. I still remember a lot of the things we talked about and I will be talking about those things in the future. If you’re going to be doing podcasts or videos, it’s a good idea to keep a “future topics” list in a to-do list app or in Reminders on your iPhone (that’s where I keep mine) where you store topic ideas for future episodes. 12:17 When you get into the mindset of storing topic ideas when they come to you, you’ll find topic ideas everywhere. Someone asks you a question, and it sparks that thing in your head where you think, “Wow, I could talk about that on my show.” Write it down and capture it. A to-do list app is great for that. 12:40 That happened to me several times, so I got some great ideas for new topics to talk about. Be ready to capture ideas for your podcast at any time, but remember to be present in the moment. There are a lot of times where conversations are going to happen naturally, and you need to be there and be engaged. 13:03 Maybe you’re having a conversation, and it turns into something that wouldn’t have happened if you had a microphone out. That’s okay. Also, remember that it’s okay to leave your mic recording while you talk with someone (just make sure you ask them if it’s alright if you use the recording in your podcast). 13:41 If you’re at conference, be present with the people you’re talking with. Don’t be off in your own little world, thinking about all of your stuff. 13:55 Capture a minute or two of ambient sound at whatever location you’re at. If you’re going to be interviewing people in a big conference room or in a coffee shop, pull out your phone or recording device and capture a minute or two of ambient sound. It can be really useful later, and it’s better to have the ambient sound in case you need it than to wish you had it. 15:25 If you’re going to go to a conference and record some audio, plan the episode in advance. Think about the story you want to tell, who you want to talk to, who you can talk to, and why, and then reach out to them. Make a list of the gear you want to bring, decide how much you want to bring, decide if you want to bring a complex setup to set up a little station somewhere or bring some people to your hotel room for some good interviews. Double check your list before you leave. Make sure you have everything before you leave for the conference—you don’t want to worry about leaving a mic or cable at home. 15:59 Don’t worry about rules. Do your best with the recording, try not to make mistakes, but use whatever you have. If the phone is the only thing you have, use the phone. Give yourself time to recover from the trip and work on your show before you need to get it out. Don’t put that deadline too close. You’re going to need at least a couple of days to recover if you go to a three or four day conference. 16:22 Remember that you don’t have to record everything, but don’t be afraid to have your recorder setup and ready to go at all times. This is why having a portable audio recording device can be really, really handy. 19:17 Cita asked about attaching a mic to a phone. There are a couple of different mics you can buy: the Shure MV88 is $150, and it plugs into the lightening port on an iPhone. There’s the RODE Video Mic Me, which is $60 or $70. It plugs into the 3.5mm headphone jack on almost any kind of smartphone. These little microphones aren’t a huge upgrade from the built in microphone, but they are an upgrade. 19:46 They work well in person-to-person conversations (if you’re standing next to someone). I just held my phone like a personal recording device with the microphone (the Shure MV88) sticking straight out and pointed it at whoever was talking. It worked out really well. Also, if you’re shooting vlog style video, it’s a nice audio upgrade over your phone’s built-in mic. 20:17 It’s convenient to be able to use your phone to shoot video and record audio. Otherwise, you get into DSLRs, mirrorless cameras, and you have to buy a RODE Video Mic Me that sits on top, and it’s super heavy and kind of a hassle. I want to travel light. I want to be portable, I don’t want it to be this big complicated production. But if you want super high quality audio and video, bring all that stuff. Do what’s right for you. As I said in this episode, I recorded some interviews with various seanwes community members that I didn’t have time to review and edit before recording this show, but here they are. All of these interviews were recorded with my Shure MV88 microphone plugged into my iPhone 7. I’m mostly happy with the way they turned out, although I lost some of the recordings because I forgot to turn on airplane mode while recording. Cory and I had a discussion early Friday morning at a coffee shop about letting go of expectations and going with the flow, and also why I decided to only bring my MV88 mic to record audio. I asked Felippe if he had any plans to start a podcast, and he said he didn’t because of the time he’d have to commit to make a good show. We ended up talking for awhile about that and also why it’s ok to repeat yourself sometimes, why some of your listeners won’t stick around forever and why that’s ok.
After much encouragement, my friend Scotty started a fantastic podcast in August called Perspective Podcast, so I asked him to share what he learned and any tips he had for anyone interested in starting a podcast.